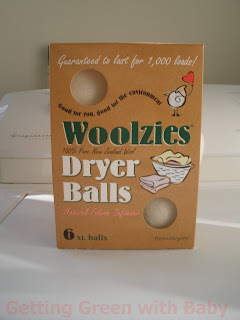 I am sure that by now many of you have either heard of Woolzies dryer balls or have tried them. If not, I’m about to suggest why you should check them out! The two main reasons I like Woolzies are 1) they are 100% eco-friendly and 2) they don’t add any harsh, cancer causing chemicals, like dryer sheets. In fact, they are completely chemical free. Still don’t see what the big deal is? Check out the list of other benefits Woolzies offers in the picture below. 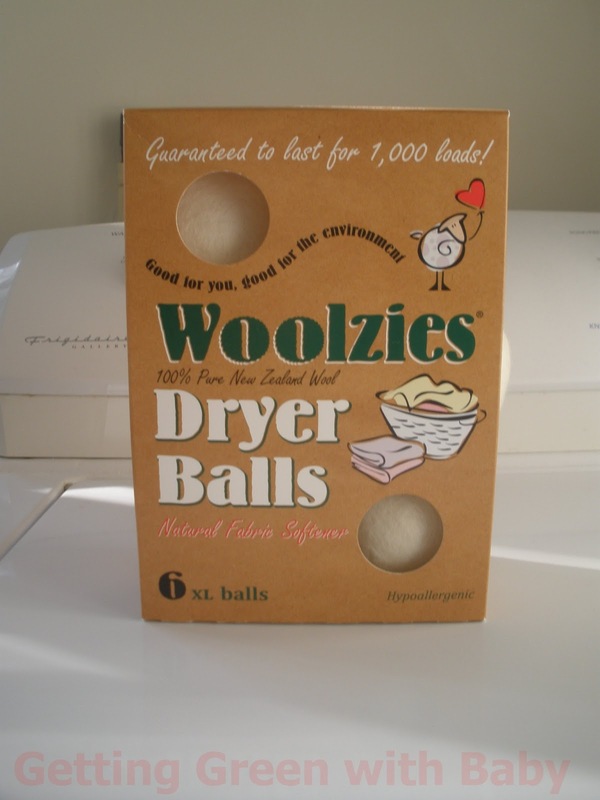 One other thing I LOVE about Woolzies is that they do not fall apart like the plastic dryer balls you can find in stores! They are also a LOT quieter too. I received a box containing 6 XL Woolzies dryer balls. 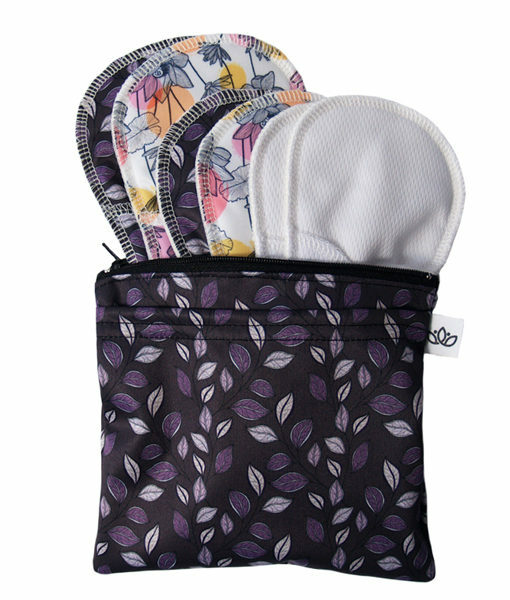 It is recommended to use all 6 with each load of laundry you dry and these puppies are guaranteed to last for 1,000 loads! I usually wash around 4 loads of laundry per week, which means my Woolzies dryer balls will last me well over a year! Just think about how many times per year you would be buying fabric softener and dryer sheets. (I will admit, however, I’ve never used fabric softener to begin with.) I love stuff that lasts for a good deal of time! You may be wondering if these things cause a big commotion in the dryer while it’s running. Not really. You can hear them tossing around a little bit, but it’s not really much more noticeable than the normal noise your laundry makes flopping around. Disregard all of the crap in my laundry room. It's kind of a "catch all." :D This video is to prove how quiet Woolzies are in the dryer. I will warn you about the “stow away” ball. I’m starting to think I received a box of cheeky dryer balls because one in particular seems to like hiding in sleeves. However, as you can imagine, it’s a heck of a lot easier finding a ball the size of your fist than a dryer sheet in a pile of clothes. Don't forget! Enter the giveaway below for your chance to win your own set of Woolzies Dryer Balls! I was not compensated monetarily for this review. 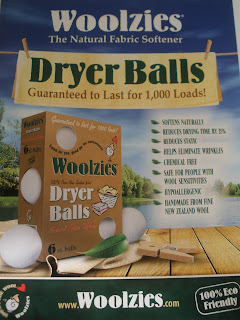 I received a box of Woolzies dryer balls in exchange for an honest review. All opinions herein are my own. Getting Green with Baby is not responsible for prize shipment. In the event that you are the winner of this giveaway, your contact information will only be used to give to the sponsor so that you will receive your prize promptly. Please email AliciaOwen6814@yahoo.com if you have any questions or concerns. 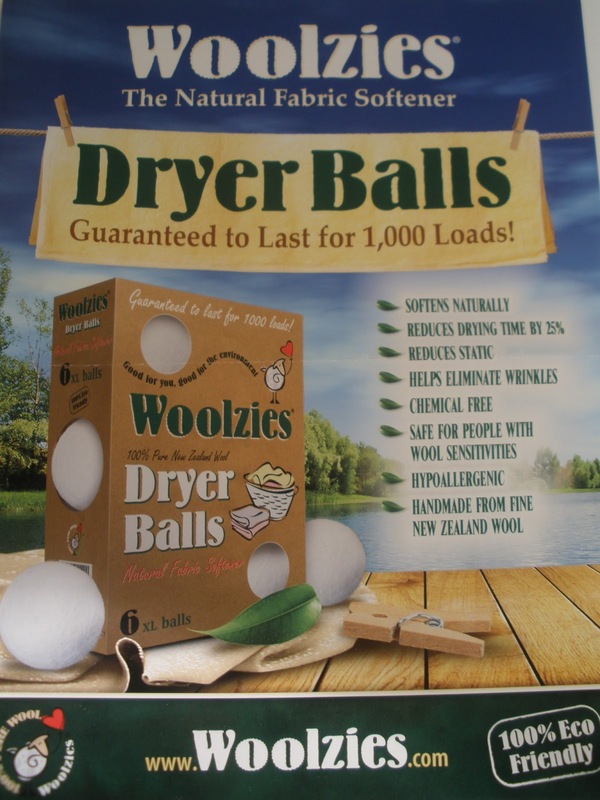 I wanna try these Woolzies Dryer Balls because I wanna see if they really work as long as they say they do. It says that it uses no chemicals. 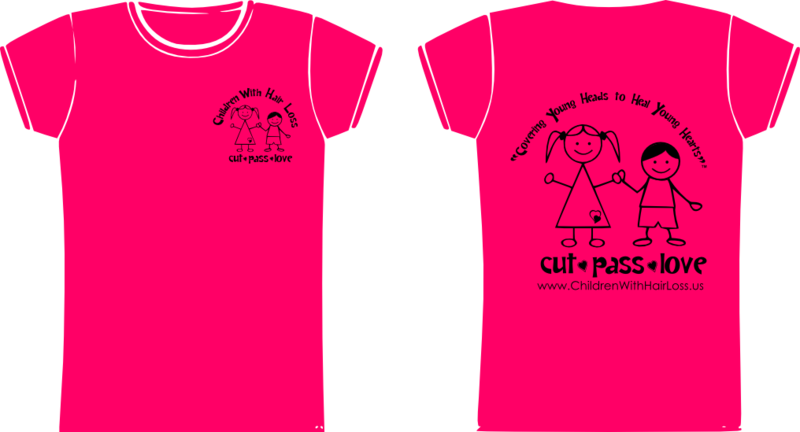 My girls have very sensitive skin so this would be great for them. I want to try them for my cloth diapers. 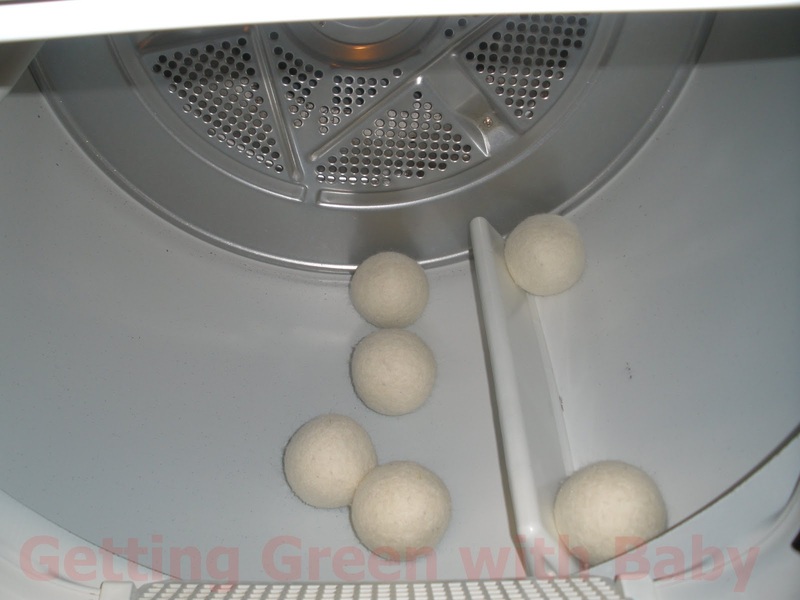 I really want some dryer balls so I can stop wasting money on dryer sheets and shave some off my electric bill at the same time! id love em cuz I just dont have the time to wait so long for the dryer! 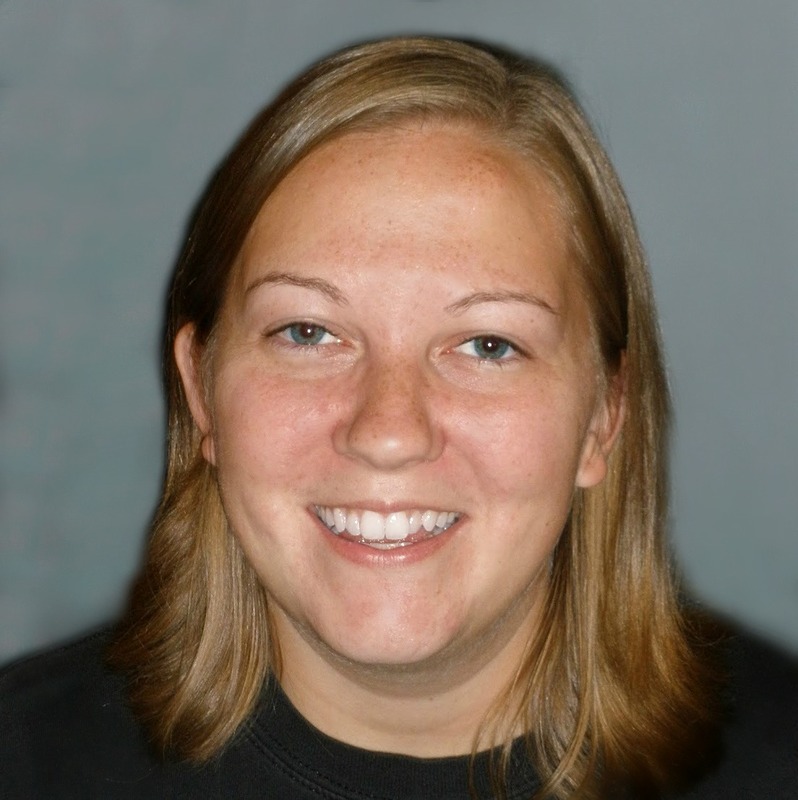 I want to make laundry more economical. 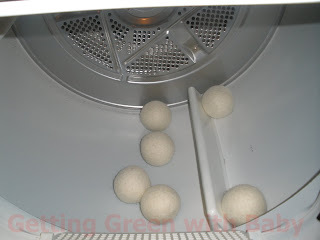 I love that there are no chemicals and these cost way less by lowering dryer time! I would love to win because, I want to have a natural alternative to fight static on my clothes and also I like that woolzies reduces drying time. Because they help dry your clothes faster. I would like to try these because we are a large family whom have more clothes to wash than we have line to hang the clothes on & these sound like they would be great to help me catch up on laundry, save money and help environment all in one! My diapers tend to take forever and a day to dry ! Seems like these would be perfect for speeding that up! Getting Crafty with Babyville Boutique!